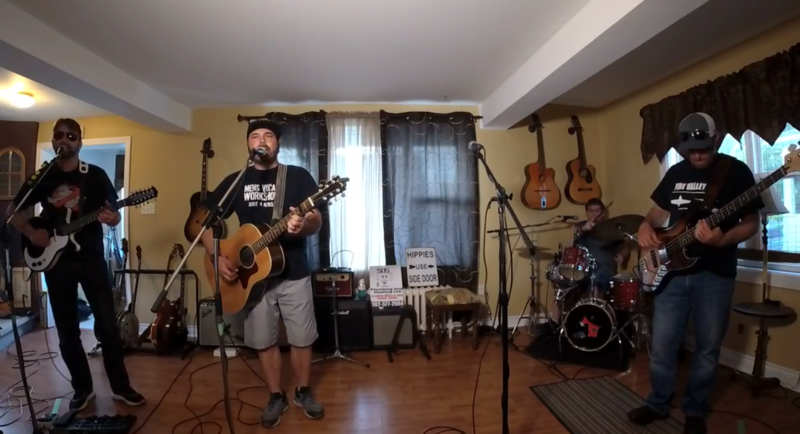 James Eddy, Chuck Smith, Ian MacIntyre, and Ben Young make up The RedShed, a Cape Breton band that is changing the way people watch and listen to music. RedShed has been in the music scene for several years, playing bars and festivals all around Cape Breton Island. In January 2018, RedShed decided to take their performances to another level. With the help of a few friends, RedShed Live was born — a monthly Facebook Live broadcast that continues to gain in popularity. As well as live performances from the band, the monthly broadcasts feature special guests, such as Jordan Musycsyn and Glenn Parker MacNeil. Follow The RedShed on their Facebook page to be notified about their next live show.